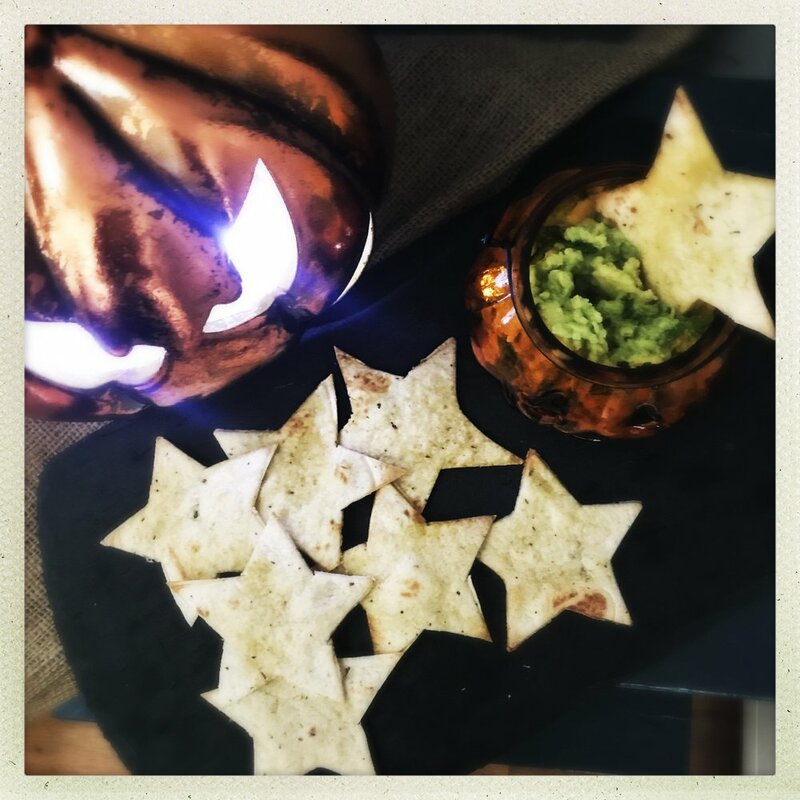 Disgustingly good Halloween party food recipe – our guacamole slime dip with tortilla stars is simple and tasty. 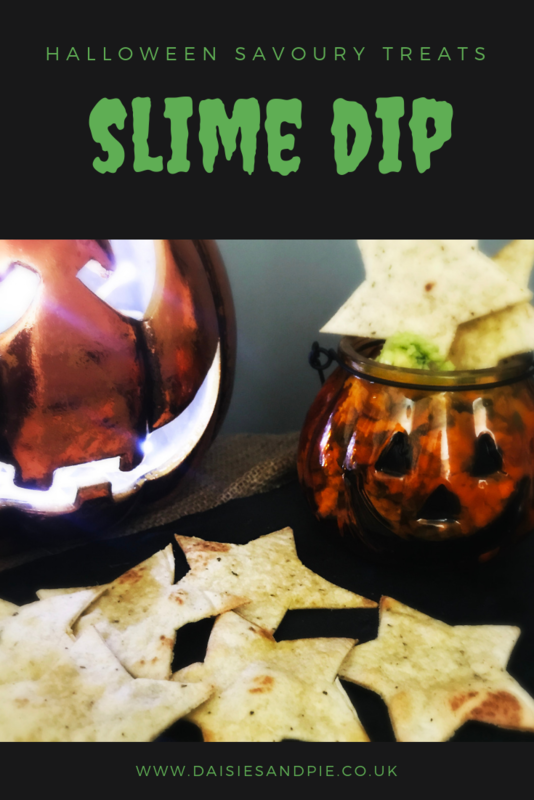 Delicious guacamole dip, Halloween style. Scoop the flesh out of the avocados and mash chunkily in a bowl. Gently stir through the lime juice, salt spring onions, tomato and coriander. Tip into bowls ready to serve whilst you make the tortilla stars. Cut star shapes out of the tortilla wraps and place on a baking sheet. Bake in the oven for around 5 mins or until just browning. Serve with the guacamole slime dip. Go spicy and add in some freshly chopped green or red chillies. Drizzle with a splash of chilli infused olive oil before serving. Make different shaped dipping tortillas – try bats or moons. Add a sprinkling of cheese to the tortilla dippers before baking. 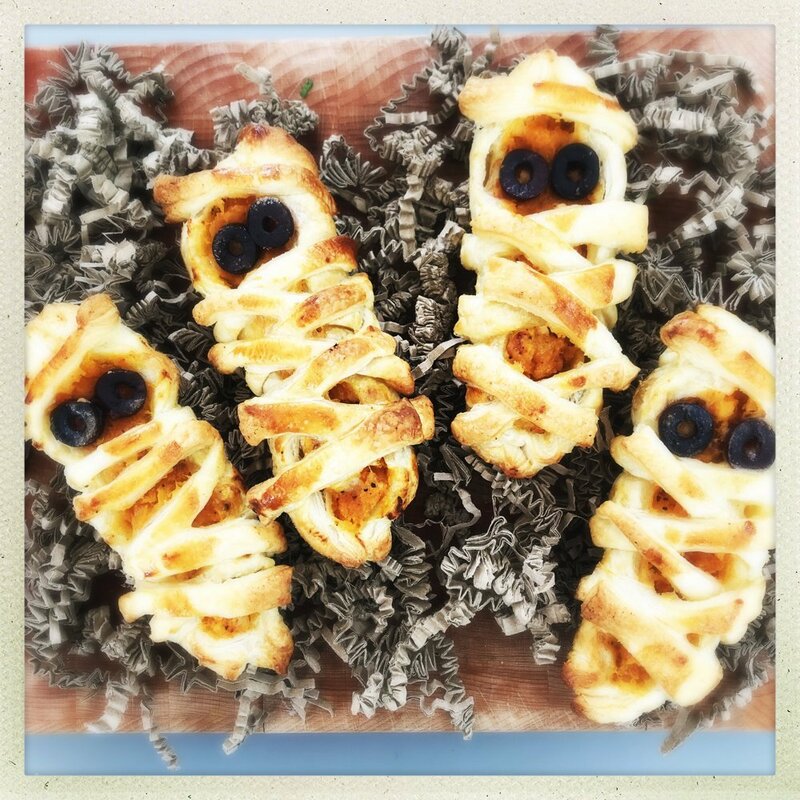 Serve the stars on a Halloween themed platter with the dip in little bowls.